MINISTRY Rental Service at 21.November 2018 provided complet technical equipment for Christmas GALACONCERT LUCIE BILA which was held on winter stadium Ondrej Nepela in Bratislava. MINISTRY RENTAL Service installed for galaconcert LED screens for whole scene in resolution 8K, complete light effects and video stuff and provided complete light design, sound and complete stage equipment! On 27.10.2018 in O2 arena in Prague was another edition of TRANSMISSION, where company MINISTRY Rental Service provided LED Screens, Lights and Laser show. MINISTRY Rental Service supplied complete LED screens and Laser show at Transmission stage on festival AIRBEAT ONE 2018 in Germany. The MINISTRY Rental Service delivered full LED Screens and lighting to one of the most famous parties in the world SENSATION, which took place on June 23, 2018 in the Prague O2 Arena. The MINISTRY Rental Service was completely technically provided by the sold-out MEGAKONCERT Karel Gott, which took place on 12th June 2018 in the o2 arena in Prague. At Megakoncert, our company delivered LED screens for the whole scene, lighting effects, complete video and light design, full stage sound, complete stage technology and a water wall with a laser show! For the 3rd consecutive year, the company MINISTRY Rental Service organized the complete technical equipment of the MOONLIGHT dance festival which took place on 18th May 2018 at the Prievidza winter stadium. The MINISTRY Rental Service has supplied 22 lasers for the second time, including a full Laser Show at Transmission held in Bangkok, Thailand on Saturday 17th March 2018. The MINISTRY Rental Service, 25 January 2018, completely technically secured the sold out MEGAKONCERT Karel Gott which took place at the Ondrej Nepel winter stadium in Bratislava. At Megakoncert, our company delivered full-screen LED screens with a resolution of more than 8K, light effects, complete video and light design, sound throughout the winter stadium and complete stage technology! On Saturday (25.11.2017), the next edition of TRANSMISSION was held at the O2 arena in Prague, where MINISTRY Rental Service delivered up to 280m2 LED Screens, more than 240 intelligent DMX-controlled lighting effects, including completely new ROBE Mega Pointe rotary-moving heads and full laser show with 22 color lasers! The MINISTRY Rental Service has provided for the second time the complete technical equipment of Tennis Champions 2017, which took place on 15 November 2017 at the National Tennis Center in Bratislava. The MINISTRY Rental Service from 26.9.2017 to 15.11.2018 completely technically provided product training/kick off for the new Škoda Karoq car that was held at the X-Bionic® Sphere in Šamorín. Over the course of almost two months, we've provided an audiovisual show over Timecode, sound, lighting, lasers and LED screens with a resolution of more than 8k in width every day. At the SZIGET festival, which took place on 9-16.august 2017 in Budapest, MINISTRY Rental Service provided for the 3rd time the complete technical equipment of TELEKOM ARENA, including lighting, sound, LED screens, lasers, light design and video visualizations. MINISTRY Rental Service has been supplying 2-stages LED screens for the second time at AUDIORIVER 2017, which took place on 28-30 July in Poland's Plock. MINISTRY Rental Service On Tuesday, July 4, 2017 at EXPO CENTER in Trenčín fully technicaly equiped (lighting, sound, LED screens, Laser show) of the OPEN AIR festival EDMANIA, where the world famous DJ Armin van Buuren performed. For the second time, the MINISTRY Rental Service has provided the complete technical equipment for the MOONLIGHT dance festival which took place on the 13th of May 2017 at the Prievidza winter stadium. The MINISTRY Rental Service, at 29th of April 2017 provided for the third time at INCHEBA EXPO Arena in Bratislava equipped the complete technical equipment of the gourmet MISS SLOVAKIA 2017 which was broadcast directly by TV JOJ. The MINISTRY Rental Service has provided for the second time the complete technical equipment of the FUTBALISTA ROKA 2016 gala evening which was on 21 March 2017 broadcast by TV JOJ Plus. On Friday, December 16, 2016, the next edition of MAGNETIC FESTIVAL was held in Prague, where the company MINISTRY Rental Service, for the 10th anniversary, provided full technical equipment including lighting, sound, LED screens, lasers, light design, video visualizations and complete design of the whole scene. On December 10th, 2016, the MINISTRY Rental Service provided for the second time the complete technical equipment for the Benefit Gala Concert NIGHTS of HOPES 2016, which was broadcast in direct transmission of RTVS. The company MINISTRY Rental Service technically provided the musical performance - ANGELIKA which took place on November 23, 2016 at the Ondrej Nepel winter Stadium in Bratislava. Company MINISTRY Rental Service supplied complete lights design and equipment of Gala As part of the 60th anniversary celebration of Slovak Television in Slovak National Theatre. Gala was held on 14.11.2016 and broadcasted live by RTVS. On Saturday (29.10.2016) in Praque was held another spectacular edition of thw party TRANSMISSION. Company MINISTRY Rental Service equiped complete LED Screens, Lights and laser show!! At the Sziget Festival which was held in Budapest in 10-17. of August 2016 company MINISTRY Rental Service for the second time provided complete technical equipment for the Dance tent Telecom Arena, including lighting, sound, LED screens, lasers, lighting design and video visualization. Company MINISTRY Rental Service for the second time supplied all LED screens and Sound system for the Main stage of the festival ULTRA EUROPE 2016, held 15-17. July in Split, Croatia. Company MINISTRY Rental Service for the third time provided in the Slovak National Theatre complete technical gala event SLOVENKA of 2016 live broadcasted by state TV channel RTVS (5th. of June 2016). On Friday, 6th. of May 2016 in Prague was held another spectacular edition of the MAGNETIC Festival, where the company MINISTRY Rental Service already for the ninth time provided complete technical equipment including lighting, sound, LED screens, lasers, lighting design, video visualization and complete design of the entire scene. MINISTRY Rental Service delivered a total of 583 square meters of LED screens at the conference for the retail chain LIDL held in Prague and Brno. MINISTRY Rental Service company covered complete technical equipment for the Benefit gala event NOC NADEJI 2015 which was broadcast on RTVS (12th December 2015). Company MINISTRY Rental Service again supplied complete lighting equipment across the scene for semi-finals and the final of the Czech Slovakia GOT TALENT 2015 TV JOJ show. For the first time on TV you could see our brand NEW rotary heads CLAY PAKY Mythos, which own the only company in Eastern Europe in of 50 pieces. Company MINISTRY Rental Service for the fourth consecutive year completely technically provided the largest air shows in Slovakia held 29.-30. of August 2015 at the airport Sliač. On Sziget festival company MINISTRY Rental Service provided complete technical equipment of the Dance tent Telecom Arena, including lighting, sound, LED screens, lasers, lighting design and video visualization ..
MINISTRY Rental Service first weekend in July (2-5.7.2015) for the second time covered complete technical equipment of the largest folk festival in Slovakia VYCHODNA! 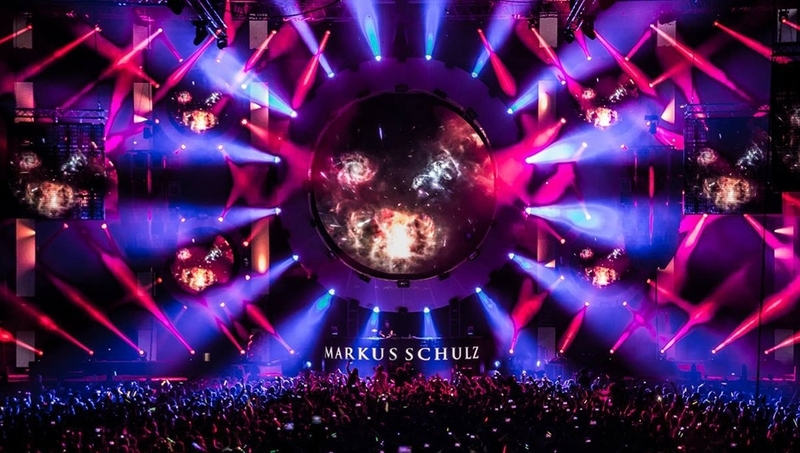 Thursday, 07/May/2015 at the Prague was held another spectacular edition MAGNETIC Festival, where the company MINISTRY Rental Service for the seventh time already provided complete technical equipment including lighting, sound, LED screens, lasers, lighting design and video visualization. Company MINISTRY Rental Service on Saturday, 04/04/2014 provided complete technical equipment two major stages (Main Stage, Classic Stage) on the big trance party TRANCEFUSION in Prague where were the stars like Andrew Rayel, Orjan Nilsen, Pure NRG, Richard Durand many others. Company MINISTRY Rental Service March 20th, 2015 supplied complete technical equipment, including a brand new sound system L'Acoustics K2 for the 90's NO LIMIT! held in Forum Karlin in Prague. At the party was singers and groups like 2 Unlimited, Culture Beat, Haddaway and many others. Company MINISTRY Rental Service December 4th, 2014, the second consecutive year completely technically covered the ZLATY KONCERT held at the National Tennis Centre in Bratislava. Company MINISTRY Rental Service technically covered our LED screens with resolutions up to 4K for Skanska international conference in Ostrava. Company MINISTRY Rental Service in August 23rd, 2014 in the field of TV Markíza in Záhorská Bystrica for the third consecutive year completely technically provided OPEN DAY 2014 which was also broadcasted live by TV Markíza. Company MINISTRY Rental Service for the second consecutive year supplied part of lighting technology for the Hungarian Balaton Sound festival held 10-13. July in Zamárdi. Company MINISTRY Rental Service for the second consecutive year, delivered some of their techniques into three most famous festivals in Hungary, Sziget, VOLT and Balaton Sound. Company MINISTRY Rental Service provided in 22nd June 2014 Slovak National Theatre complete technical equipment at the gala show SLOVENKA of 2014, which was broadcast live RTVS. Company MINISTRY Rental Service on Saturday, April 17th. 2014 again covered complete hardware for the Main stage at the big trance party TRANCEFUSION in Prague. MINISTRY Rental Service completely provided LED screens, light design, full lighting, complete sound - L'acoustics, laser shows and arch design with a diameter of up to 20 meters. Company MINISTRY rental service on Saturday, March 15, 2014 provided a complete largest indoor dance event in Central and Eastern Europe in the legendary Transmission Slovnaft Arena in Bratislava! 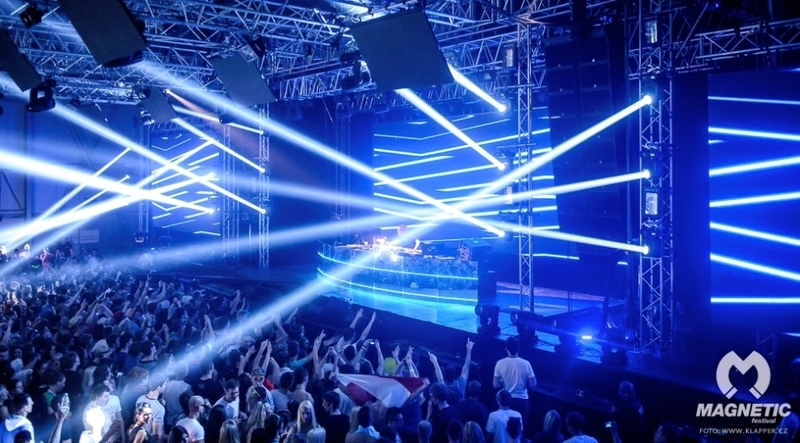 In Tuesday, 07.05.2013 was held in Prague next edition grand MAGNETIC Festival, where the company MINISTRY Rental Service for the third time supplied complete technical equipment including lighting, sound, LED screens, lasers, lighting design and video visualization. MAGNETIC festival used to our company and brand new CLAY PAKY Sharpy Wash that we possess as the only company in Czechoslovakia, and also we used our new LED screen with high resolution. The festival following stars like Steve Aoki, Sander van Doorn, Chuckie, Nervo and many others. Company MINISTRY Rental Service on Saturday, September 29th 2012 provided complete technical equipment for the second time for the large dance party in Prague after MAGNETIC Festival this time was a big trance party TRANCEFUSION on which introduced the star like Cosmic Gate, Kai Tracid, tyDi, Alex M.O.R.PH. and many others. This action MINISTRY Rental Service secured the video visualization, LED screens, light design, full lighting, complete sound and laser show. See how it looked in Prague's an industrial palace. 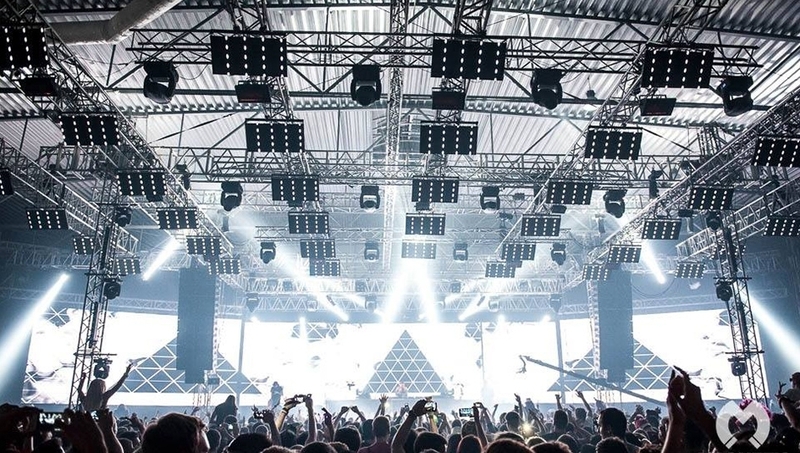 Full lighting, laser shows, water walls, stage, podium and complete live sound L-ACOUSTICS for 17 concerts in Slovakia and the Czech Republic secured the company Ministers. Complete technique used is the property of the Minister and you could see it in the following cities: Michalovce, Kosice, Bardejov, Presov, MARTIN, Prievidza, BRATISLAVA, Liberec, Plzeň, České Budějovice, Jihlava, Ostrava, OLOMOVC, Zlín, Pardubice, Prague, Brno .This tour together was visited by over 80 thousand people. Laser Show ministers in Prague on 13.4.2007 AMAZING CITY Headilineri Oakenfold, Gielen, Halliwell, Jules and others. Company Secretary on a 2005 TV Disco Sound equipment, lighting and laser show on the main stage and its surroundings. Disco on TV was used for the new line array sound system up to 92,000 watts (that's accurate power amplifiers) from L-Acoustics, which is currently a world leader in line array systems. Ministry company is the only one's own audio system to last the Kudo L-acostics, the same used for the Disco TV. A total of 20 suspended Speakers Kudo used 16 Sound Bass crates SB218. Laser show on Danube river - Čunovo near Bratislava. New Year in Ski Park Ružomberok. Projection od clouds. There were used 5 lasers of full spectrum colours during the opening and final ceremony of Figure-skating European Championship in Bratislava. Presentation for nomination on olympic games in Poprad. Projection on building. November 1999. Hankin Mode´s Fashion show in Grand Hotel, Prague (Czech Republic). November 1999. Presentation of new cigarettes BOSS on castle Červený Kameň. Animation made on customer requirement. Projection on Net (size 10 x 13m). October 1999. Presentation austrian financial company in Banska Bystrica. Jul 1999. Presentation of new Jaguar. Bratislava, Jun 1999. Animated show in PKO, Bratislava, October 1998. Projection on Water Screen during daylight. Presentation of new cigarettes - Brno - Czech Republic. Company MINISTRY Rental Service provided complete technical equipment on OKTAGON 10 at 17th.November 2018 in O2 arena in Prague. At SZIGET festivalheld on 8th-15th.August 2018 in Budapest company MINISTRY Rental Service 4th times in row provided complete technical equipment in Dance tent BACARDI ARÉNA including lights, sound, LED screens, lasers, lighting design and video visualizations. MINISTRY Rental Service in 29.6-2.7.2017 5th times in row supplied complete technical equipment for biggest folk festival in Slovakia - VÝCHODNÁ including Veľkej scény, Malej scény, Humna a Gastrocentra stages! During the weekend of 21-22nd June 2018 at the EXPO CENTER in Trenčín, the MINISTRY Rental Service provided complete technical equipment (lighting, sound, LED screens, laser show, light design and video visualization) of all stages at the Open Air Festival EDMANIA. The MINISTRY Rental Service provided the OKTAGON 6 complete technical equipment, which took place on 29th July 2017 at the Štvanice stadium in Prague. On Friday, May 11th, 2018, the next edition of the MAGNETIC Festival was held at Letňany Prague, where the company MINISTRY Rental Service provided for the last three hundred years complete technical equipment including lighting, sound, LED screens, lasers, light design, video visualizations and complete design of the whole scene. On Friday, December 15, 2017, the next edition of the MAGNETIC FESTIVAL was held at Letňany Prague, where the company MINISTRY Rental Service provided for 12th times the complete technical equipment including lighting, sound, LED screens, lasers, light design, video visualizations and complete design of the whole scene. The MINISTRY Rental Service company completely technically provided the musical performance - TIME RUZI which took place on November 24, 2017 at the Ondrej Nepel Winter Stadium in Bratislava. The MINISTRY Rental Service, in 21st October 2017 completely technically provided the sold MEGAKONCERT Helena Vondráčková held at the Ondrej Nepela ice stadium in Bratislava. At Megakoncert, our company delivered 4K full-screen LED screens, light effects, complete video and light design, sound throughout the winter stadium, and complete stage technology! MINISTRY Rental Service provided complete technical and construction equipment for the Tatra Flowers 2017 Festival, which took place on 1-3 September in the Vysoke Tatry. 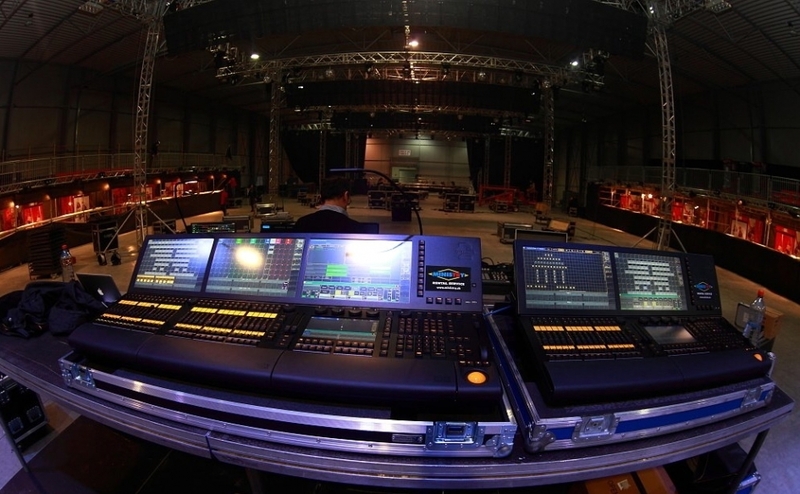 The MINISTRY Rental Service provided at the OKTAGON 3 complete technical equipment, which was held on 29th July 2017 at the Štvanice stadium in Prague. For the third time, the MINISTRY Rental Service has delivered more than 350m2 LED screens for the ULTRA EUROPE 2017 festival, which took place on 14-15 July in the Croatian Split. MINISTRY Rental Service provided for the fourth time the complete technical equipment of the largest folk festival in Slovakia VYCHODNA, including the Great Stage, Small Scene, Humna and Gastro Center! Whole event have been broadcasted by STV2. On Friday May 5, 2017, the next edition of the MAGNETIC Festival was held at the Letňany Prague Exhibition, where the company MINISTRY Rental Service has provided 11th times full technical equipment including lighting, sound, LED screens, lasers, light design, video visualization and complete design of the whole scene. The MINISTRY Rental Service provided full technical equipment for OKTAGON 2, which was held on 7th April 2017 in Bratislava Hant Aréne and was broadcast by JOJ Plus. MINISTRY Rental Service supplied Transmission in Bangkok/Thailand with 18 lasers including complete Laser show. The Transmission took place for the first time in Bangkok/Thailand (10.3.2017). The MINISTRY Rental Service provided complete technical equipment for the final match in the MMA fights - OKTAGON Challenge which took place on 10th of December 2016 in Prague and was broadcast by JOJ Plus. Company MINISTRY Rental Service supplied complete technical equipment for tennis exhibition Tennis Champions 2016, which was held on 15th of November 2016 at the National Tennis Center in Bratislava. The MINISTRY Rental Service provided the complete technical equipment of 90-year-old star We Love The 90's, which was held in Bratislava's Hant Arena on November 11, 2016. Company MINISTRY Rental Service (1st. October 2016) provide complete technical equipment for Gala event MISS UNIVERSE 2016 at NTC hall in Bratislava. Event was broadcast by state TV RTVS. Company MINISTRY Rental Service supplied complete LED screens and lighting for 3 stages including the Main stage at the festival Audioriver 2016 held 29-31.July in Poland city Plock. 24-25. June 2016 in Bratislava was primetime for the festival NEON where the company MINISTRY Rental Service provided complete technical equipment including lighting, sound, LED screens, lasers, lighting design, video visuals and special effects. Company MINISTRY Rental Service at 29th of April 2016 again provided in Incheba Expo Arena in Bratislava complete equipment on gala event Miss Slovakia 2016 live broadcasted by TV JOJ. Company MINISTRY Rental Service provided complete technical equipment at the gala event Football player of the 2015, which was broadcasted live by TV JOJ. The Saturday, 13.02.2016 in Prague held the first European edition of SMASH THE HOUSE Festival, where the company MINISTRY Rental Service has provided complete technical equipment including lighting, sound, LED screens, lasers, lighting design, video visuals and special effects. In Friday, 18th. of December 2015 in Prague was held another spectacular edition MAGNETIC Festival, where the company already MINISTRY Rental Service for the eighth time provided complete technical equipment including lighting, sound, LED screens, lasers, lighting design and video visualization. Company MINISTRY Rental Service provided complete technical equipment of two stages at the opening ceremony of the shopping center Galeria in Lučenec. Company MINISTRY Rental Service supplied our LED screens to celebrate the 25 anniversary of the company INTER CARS held on 19th. of September 2015 at the National football stadium in Warsaw/Poland! Company MINISTRY Rental Service on Saturday, 22/08/2015 provided complete lighting, sound and stage at the opening ceremony of the City Arena stadium in Trnava. MINISTRY Rental Service company supplied all LED screens and sound system part of the festival ULTRA EUROPE 2015, held 10-12. July 2015 in Split, Croatia. Company MINISTRY Rental Service for the second time provided complete technical equipment NESTIVLLE Open Day held on 26-27. June 2015. Company MINISTRY Rental Service provided in April 24th, 2015 in Incheba Expo Arena in Bratislava technical equipment for the gala show Miss Slovakia 2015 live broadcasted by TV JOJ. Company MINISTRY Rental Service in late of the March completely technically covered the opening of the shopping center OGRODY in the Polish city of Elblag. Company MINISTRY Rental Service, 27th. February 2015 supplied complete technical equipment, including a brand new sound system L'Acoustics K2 fot he BE IN ICE KINGDOM Party held a forum Karlin in Prague. 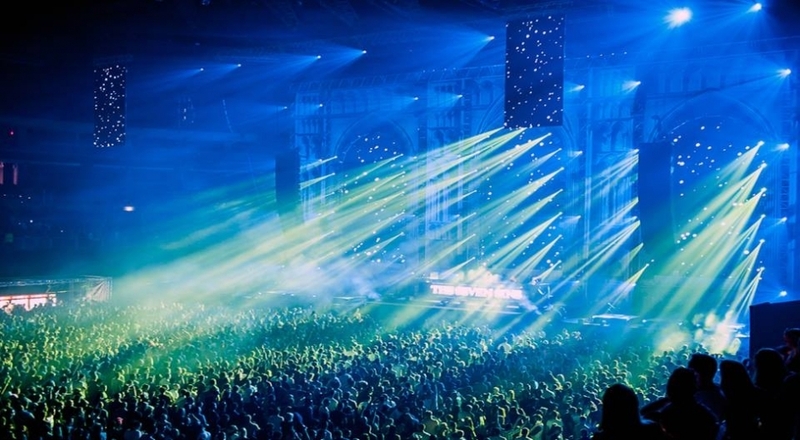 Company MINISTRY Rental Service on 12 of the December 2014 supplied complete technical equipment, including a brand new sound system L'Acoustics K2 for the VANDIT Night with Paul van Dyk. The third edition was held in Forum Karlín in Prague. On Saturday (25.10.2014) was held in Prague next edition TRANSMISSION grand party at which company MINISTRY Rental Service again provided complete technical equipment! Firma MINISTRY Rental Service už tretí rok po sebe kompletne technicky zabezpečovala najväčšie letecké dni na Slovesku ktoré sa konali 30.8.-31.8. na letisku Sliač. Company MINISTRY Rental Service for the second consecutive year delivered part of lighting and sound equipment for one of the biggest festivals in Europe SZIGET 11-17.augusta held in Budapest. Company MINISTRY Rental Service for the second consecutive year supplied part of the lighting technology for the Hungarian VOLT festival held 2-6.júla in Sopron. MINISTRY Rental Service first weekend in July provided complete technical equipment for the largest folk festival in Slovakia VYCHODNA 2014! In the Wednesday, 05/July/2014 Prague was held another spectacular edition MAGNETIC Festival, where the company MINISTRY Rental Service for the fifth time provided complete technical equipment including lighting, sound, LED screens, lasers, lighting design and video visualization. Company MINISTRY Rental Service on Saturday, 13.04.2012 again provided complete equipment for thw Main stage with the big trance party TRANCEFUSION in Prague at which the star presented as antibiotics, Richard Durand, John O'Callaghan and others. This company's shares MINISTRY Rental Service provided video visualization, LED screen (the first time we used our new 70 square meters LED screen high-definition landscape to 2,7K! ), Lighting design, full lighting, sound services (L'acoustics), laser show and arch design with a diameter of up to 20 meters. Here are photos of the report of Magnetic Festival, held 07.05.2012 in Prague. Company MINISTRY Rental service provided complete technical equipment of this festival - video rendering, complete LED screens, light design, full lighting and laser show. On Magnetic festival presented a DJ stars such as Avicii, Hardwell, Chuckie, Laidback Luke, Dada Life, David Tort, etc. Company MINISTRY 16.12.2006 Sound equipment in Vienna on Paul Oakenfold with their sound systems L-Acoustics. 31.3.2007 and the Congress Center - WIENNA Sound equipment, lighting and multimedia LASER SHOW ABBOUTT for the American company. MINISTRY company for Tiesto in Prague for the first time presented the largest water wall that has a dimension of 12x10 meters. On the wall of water was projected laser animations and so took manežera Tiesto that it is also used for illuminating lights Tiesto. In addition to laser show MINISTRY company also provided the sound system line array sound system from L-Acoustics, which is currently a world leader in line array systems. Company Ministry is the only one's own latest Kudo sound system from L-acostics, which was also used for Tiësto. A total of 22 suspended Speakers Kudo used 22 Sound Bass crates SB218. Company Ministry provided complete lighting, sound, projection and laser show at the concert of ACAZAR in Ruzomberok and Ozeta on the pictures to see how it looked there. Show for Ferrari and Shell - on the F1 eve - Budapest - Hungary. Opening of the shopping center in Brno - Czech Republic. Beauty competition in Lučenec & Hungary (laser show)(Salgotarján). Full equipment - sound & lights. November 1999. Laser show at opening new Autodrome in Košice. October 1999. Big Laser show for new products from Ericsson. October 1999, Bratislava. Presentation in Bratislava (Jun 1999) and Austria in St. Wolfgang (Jul 1999) and Bad Isch (October 1999). Laser show for Bank Austria in PKO Bratislava. April 1999. World univerziada in Poprad on ice-stadion. Projection on Net (size 10 x 13m). Januar 1999. Presentation of movie premiere - Akty X in front Baník cinema, Prague, September 1998. Projections onto flying balloons and clouds - Karlštejn near Prague - Czech Republic.